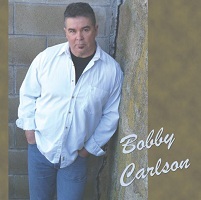 Bobby Carlson is one of the northeast regions most popular and best known musicians. Twenty-five years ago he helped create a now legendary Rhode Island band called Silver Saddle. The musicians were so respected that when the group broke up, the players went on to form other great bands like: Crisis, The Goat Ropers, and Almost Cowboyz, -two of which are still together and commanding sizable money on the New England club and concert circuit. Bobby Carlson found success in Nashville. While signed to Lofton Creek Records, his song ""Paper Plates & Dixie Cups,"" reached #47 on the Music Row charts, on March 3, 2004. After a few years touring, Bobby come home to form the Stones River Band. Bobby Carlson & SR have played every summer at Indian Ranch in Webster MA. In 2009 he played with Sammy Kershaw and in 2010 opened for Charlie Daniels. Bobby’s performed to big crowds at the sea shell stage at Hampton Beach NH and was a headline act at Country Woodstock, Labor Day Weekend. During the cooler months Bobby plays regularly at several of New England's hottest country nite spots, like: Midnight Rodeo in Manchester NH, where his originals are so well known that his song, *""Paper Plates & Dixie Cups,"" has been choreographed and made into a country line dance.